In all probability, we are probably three months away from an announcement of a new iPhone since Apple seems to like to introduce them in June and July. Being this close to any major Apple release means only one thing: Here come the rumors of Apple working with Verizon again. Almost like clockwork you can bet that in the months leading up to any major announcement from Apple, the rumors start flying like mad that Apple is going to partner up with Verizon, the United States’ largest cell phone carrier, in some way. Before the iPad announcement in Jan., we were hearing not only that the iPad would be on Verizon, but that Steve Jobs would announce the iPhone on that carrier at the same time. Neither came to be, and it wasn’t too horribly surprising as Mr. Jobs doesn’t usually mix product announcements. Apparently the plan calls for Apple to release two phones this year, one being an incremental update for the GSM version used with AT&T that will be thinner and have a faster processor. The second version is an all new CDMA version that could be used by Verizon and Sprint Nextel in the United States, as well as some other carriers around the world. While GSM is the most popular wireless system in the world, CDMA does service a significant number of people, including the 91 million customers of Verizon. While Apple has experienced enormous growth as of late, far out pacing every other smartphone out there, it is going to need to expand to other carriers if it wants to continue this trend. As we stated in a previous post, it is definitely time for the iPhone to be on multiple carriers. The only problem with this rumor is it has become like the boy who cried wolf. We have heard “iPhone being prepped for Verizon!” for so long, and there are always “sources familiar with the matter” that come along with the story that it just feels like an exercise in futility at this point. 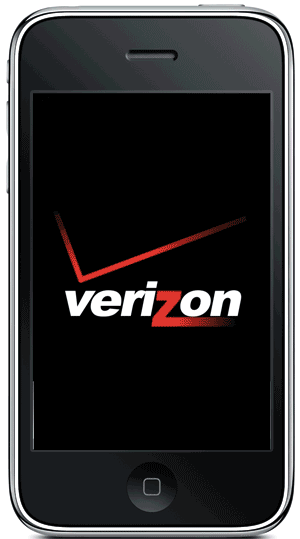 The way I’ve started to look at these rumors is that, yes, the iPhone will indeed be on Verizon at some point, but until Steve Jobs finally flashes the company logo on a slide behind himself at one of his infamous press events, I’m just not going to believe it in the least. I think I am just most amazed by how many people always jump all over this rumor when we’ve been hearing it since 2007. It’s going to happen some day folks, I have every confidence of that, but at this point the rumors are just so tiresome that I can’t even be bothered to read them half of the time. All will be revealed some day, but until Mr. Jobs actually announces it, always take this rumor with a grain of salt. What say you? Do you think it is only a matter of time?